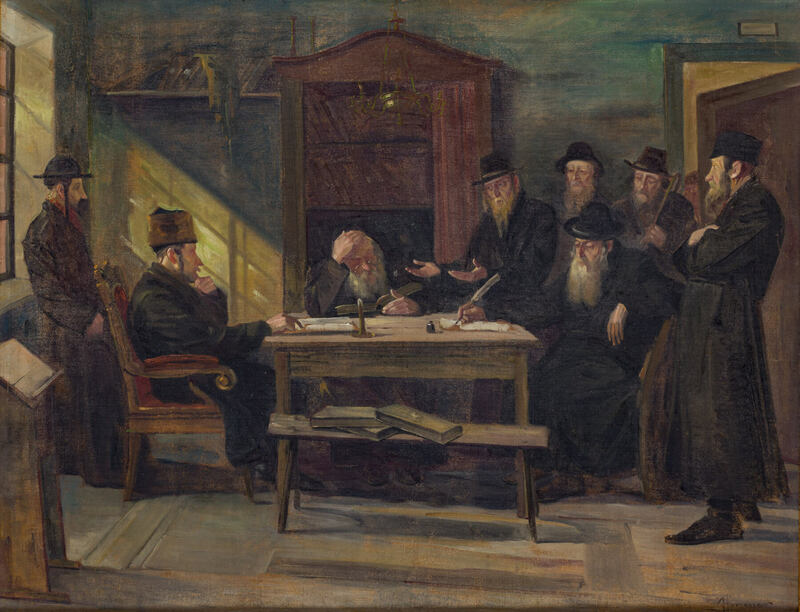 Honnager: Pleading Before the Rabbinic Court. Oil on canvas. Signed. 66 X 86 cm.